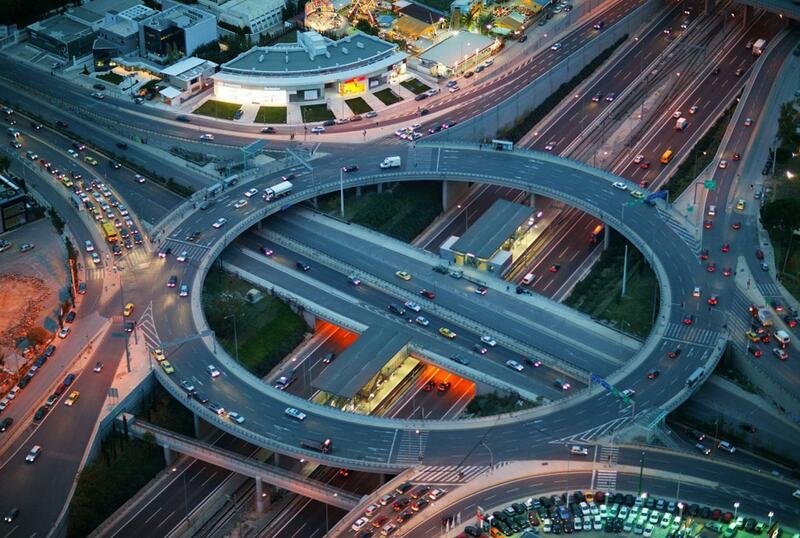 The Kifissias Avenue Interchange with its characteristic roundabout and 3 grades links Attiki Odos with one of Athens' main transportation corridors, Kifissias Avenue. This is a high-standard, high-capacity interchange that provides access to Attiki Odos from the Municipalities of Maroussi and Melissia. It also provides a direct link between Attiki Odos and the immediately adjacent areas, forming a local hub for the development of the tertiary sector (services, retail, entertainment etc. ).